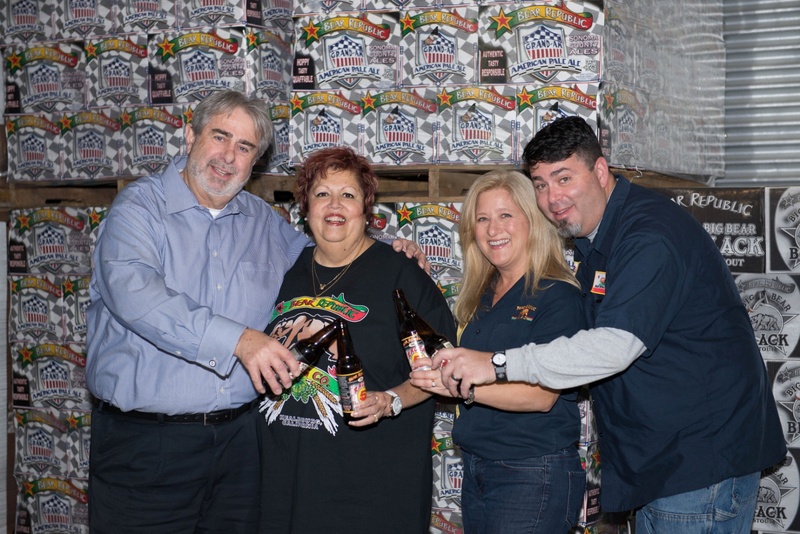 SAN FRANCISCO – The San Francisco District Office of the U.S. Small Business Administration is honoring Bear Republic Brewing Co. as the 2015 Small Business of the Year for Northern California. Bear Republic Brewing Co. is a family owned business founded in 1995. What started as just Rich and Tami Norgrove, and Sandy and Richard Norgrove Sr. has since expanded to a company of 152 employees. While the Norgrove’s had invested their own savings in the business, they knew that wasn’t going to be quite enough to make the business a success. After being turned down by a few lenders, they found a good match with a participating SBA guaranteed lender who was willing to lend them just over a quarter million dollars as part of the U.S. Small Business Administration’s (SBA) 7(a) guaranty loan program. As they began to expand further, the Norgroves looked to community lenders and the SBA for help again. In 2006, First Community Bank and Bay Area Development Company worked together to provide a 504 Certified Development Company loan to Bear Republic Brewing Co. to buy part of an industrial office space in Cloverdale. The company has since expanded to take over not only the entire office park, but also the adjoining lot, giving them further room to expand and even potentially double operations. As part of their expansion, Bear Republic Brewing Co. has consistently given back to the community that has supported them for two decades. Sandy handles the ten to fifteen donation requests received each day for cash donations, beer for charity events, or event space for fundraisers. Rich Jr. donates his time to aspiring brew masters, answering questions about brewing as well as branding. “First Community Bank is fortunate to have had the opportunity to work with the Norgroves and Bear Republic for the past ten years. Their commitment to excellence is evidenced by their success in business and recognition throughout our community,” said Debbie Meekins, President and CEO of First Community Bank. Bear Republic Brewing Co. and its owners will be honored on May 8th. The private event is being held as part of the San Francisco Small Business Week celebration, which runs from May 16-22nd:www.sfsmallbusinessweek.com.